Why Do We Keep Celebrating Disobedience? Wouldn't it be something if Americans decided to declare a national Day of Repentance? Three years ago the tiny country of Papua New Guinea instituted just such a holiday for the purpose of fasting, prayer, and reflection. The sizable Christian and Muslim population of that nation (both religions worship the God of Abraham) have chosen to set aside August 26th every year as a non work holiday, and use it not for picnics, sports events, or trips to the beach, but as an actual holy day. I don't know what kind of sins the Papuans are guilty of, but I'm willing to bet we Americans have them beat by a mile. 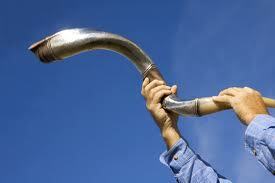 I realize that convincing Americans they should set aside a National Day of Repentance for quiet reflection is a pipe dream; Americans like to use their holy days for playing, not praying. Still, Memorial Day would seem ready-made for conversion to that use. It already stands as the day we pay tribute to those among us who have fallen in battle. Wouldn't it be helpful if we collectively took the additional step and asked ourselves the question: why did they have to die? You would think latter-day Saints would be the first to awake from their slumber and reflect upon their unquestioning support for perpetual wars. We have, after all, not been shy about referring to ourselves as the Children of Light on occasion. So why do we keep doing this? Why are many Mormons so proud and willing to sacrifice their own children on the altar of war? Why are we, of all people, so easily manipulated by that tool of the devil, fear? How is it possible for so many who declare themselves followers of Christ to put the teachings of Christ on hold the moment the devil leaps up and shakes a Booga-Booga stick in our face? And why do we hold the military establishment in such high regard when our doctrine teaches that armies and navies are tools Satan has captured for his purpose of ruling the earth with blood and horror? I suppose we can forgive some of our sectarian brothers and sisters for constantly misinterpreting scripture. But why do we fall into that trap? The Book of Mormon is supposed to have been given to us so we could understand precisely when and where war was justifiable, and when and where it was not. Yet we ignore those teachings and enthusiastically join with our evangelical brothers and sisters in cheering on the monster leviathan as it rolls across the globe murdering the innocent along with the guilty. Those who rely on the bible alone may be susceptible to false teachings and vain traditions, but what is our excuse? The major purpose of the Book of Mormon was to to lead us away from Satan's clever manipulations and back to Christ. Yet some of us seem to have missed a major point. A mere two years after the church was formally organized, the Lord placed the entire community under condemnation for taking lightly the things they had been given in the Book of Mormon. And in President Benson's very first conference talk after attaining office, he reminded us the condemnation has never been lifted. We remain a community puffed up in pride over our status as "The One True Church," yet there is little difference between us and any others who revel in the imposition of force. We are all aware of how top-heavy the Book of Mormon is when it comes to the discussion of war. We even make jokes about it. But how many have bothered to wonder just why that is? Why did the warrior prophet Mormon feel it so important to fill that book up with endless tales of combat? The answer is that he was sending us a warning. Both Mormon and his son Moroni were given a peek into the future, and what they saw filled them with alarm. Mormon saw us headed on the very path to destruction that had wiped out his entire civilization, and he hoped his warning would reach us and get us to change direction. The fact that so many of us happily testify of the truth of Mormon's book while managing to miss the lesson he hoped to impart is a sad testimony to our pride. We love to tell the world how much we love the Book of Mormon, but we pay little attention to what that book is trying to tell us. If the last time you read the Book of Mormon with any diligence was when you were in Seminary and raced through it only with the goal of finishing the dang thing in time to get that nice Certificate of Completion, this might be a good time to sit down and give it a second look. If there was ever a time we Americans deserved to take a good hard look at ourselves and reflect upon what it is we might be doing wrong, this is that time. You may have noticed God is not exactly pouring out his blessings on America in these latter days. I would suggest that a primary reason for the absence of of the hand of providence is that God's people are blatantly ignoring His law concerning war. It seems to me that Memorial Day would be a good time to engage in quiet and thoughtful reflection about that. 1. God's people have a sacred duty to to defend themselves, their families, and their lands; not just from invasion, but also usurpation from within. 2. The moment our armies cross into the borders of another country, God will turn his back on us. We may delude ourselves into believing we are fighting for His cause; we may pray for His blessings and invoke His protection. But God won't hear us. The moment we take the war into the lands of another people, God walks off the field and leaves us on our own. Now, you might not like hearing that second point. You might even refuse to believe it. Nevertheless, that is Christ's actual Doctrine. Those are God's Rules of Engagement concerning war. And as he told Joseph Smith in what became section 98 of our Doctrine and Covenants, this has always been His law, from the time of the ancient prophets and apostles, through Nephi, and down to our own day. His people were not to go out into battle "against any nation, kindred, tongue, or people unless I the Lord commanded them." This scripture is unacceptable to some latter-day Saints. Many simply refuse to follow it, and will attempt all manner of ways to introduce exceptions to the rule, asserting it doesn't apply in certain cases and under varying modern circumstances. God could not have anticipated some of the dangers that threaten us today, don't you see? These rebellious members engage in mental acrobatics to justify acting contrary to God's will because their cultural and political beliefs have become intertwined with their religion to the point they are unable to tell truth from error. I was born in 1951. In my lifetime my country has been involved in one war or another every year of my life except five. Not one of those wars was authorized by God. Not one of them was authorized by the Constitution, either. I don't know about you, but that's enough to pull me up short and get my attention. 2012 - Troops deployed to Jordan, Syria, Chad. Continuing War on Terror in Afghanistan, Iraq, Pakistan, and Yemen. 2013 - Mali, Somalia; Continuing War on Terror in Afghanistan, Iraq, Pakistan, Somalia, Yemen, Libya, and Uganda. Many good members of the church have been frightened into participating in these wars, and many more have been frightened into supporting them. But the Book of Mormon goes to great lengths to warn us that powerful men in our day would combine in secret to use fear as a means of getting us to believe the only way to save ourselves is to disobey God. In light of our penchant for following Satan's minions rather than serving Christ, wouldn't you agree we're past time for a day of repentance? One reason I believe we latter-day Saints have not been quick to grasp how far afield we have strayed is that until recently there has not been much in the way of resources we could consult that would give us a clear understanding of our responsibility regarding war. We have been easily led by politics and culture, but politics and culture have ever been rooted in the influence of Babylon. We should be looking instead to the word of God. One of my favorite books on war as it relates to our religion has been Warfare In The Book of Mormon, published by Deseret Book in 1990. But that book is long out of print, so if you don't already own a copy, you could expect to pay as much as $300.00 for one. And even that book is less than comprehensive. Though it contains a sampling of theology and doctrine, the essays contained within are mostly concerned with the history, strategies, archaeology, and weapons employed in Book of Mormon wars. Happily, we now have a new volume published just last year by Greg Kofford Books of Salt Lake City. War & Peace In Our Time: Mormon Perspectives, a collection of essays edited by Patrick Q. Mason, J. David Pulsipher, and Richard L. Bushman. I consider this book an absolutely essential resource for any latter-day Saint seeking to understand God's will regarding war, especially as it pertains to our day. I admit to having read only four essays in this book so far, but on the strength of three of those alone I recommend the book enthusiastically. (I'll tell you my reservations about the fourth one in a moment.) I would wish to see this book in every latter-day Saint home. That's how important I think it is. It should be as ubiquitous today in Mormon households as Mormon Doctrine once was in the 1970s and 80s. If you want a cogent understanding of LDS doctrine and teaching as it relates to war, I know of no better place to start than this outstanding collection. War & Peace In Our Time: Mormon Perspectives is a collection of essays from a wide variety of LDS authors and scholars, approaching aspects of LDS theology and history from a variety of angles. I started my reading by skipping right to the pieces by two of my favorite experts on Mormonism and war, Joshua Madson and his father Ron Madson. Both offer outstanding analyses here. Josh takes an approach that would surprise most members of the church by demonstrating how the Book of Mormon is a book that preaches non violence. Ron Madson discusses how we have largely rejected God's immutable covenant of peace and thereby brought condemnation on our heads. All good books have their flaws, of course, and in this instance I have to pick on an essay contributed by Morgan Deane, who offers a contrary point of view, enlisting the Book of Mormon to bolster his support of the Bush Doctrine of pre-emptive warfare. Deane's thesis is that "it was the bloodlust and general weakness of Nephite society that caused their failure," and not so much their disobedience in taking the war into the lands of their enemies. Although no one would disagree that the Nephite's bloodlust was a salient factor in God's failure to support their cause, Mormon was emphatic that the dealbreaker was when his army went on the offensive against the Lamanites inside the Lamanite borders. That is when he resigned as their leader, and that's the moment he points to in Mormon chapter four as the reason God allowed the entire Nephite civilization to be destroyed. But Deane rejects the idea that the Nephite's defeat was the result of their crossing over into Lamanite borders. He tries hard to fit his personal beliefs into the scriptures, and those beliefs are typified by the popular view that America's pre-emptive wars against Iraq and Afghanistan (and now Libya and Syria) are justifiable before God. His thesis doesn't work. He supports his position with an unfortunate reliance on a skewed interpretation of scripture and contexts. He points to examples where the Nephites were justified in conducting offensive maneuvers in order to defeat the Lamanites, without recognizing those offensive maneuvers took place on Nephite soil and not on the Lamanite's home turf. God does not justify nations going to war. That is Satan's arena. The Prince of Peace does not employ war to accomplish his purposes. The book also contains an informative introduction by Patrick Q. Mason and an aftermath by Richard Bushman, as well as a subject index and a complete scripture index that extends to seven pages. This is a complete reference on Mormonism and war. Have you taken my hint yet? I really want you to get this book. I'm writing this on the Saturday before Memorial Day. If you're reading it today and live near a Deseret Book Store, you can buy your copy today and read something from it on Memorial Day. I think that would be a fitting use of the holiday. A reference work like this has been sorely needed in the church for quite some time. If enough of us will read these essays and ponder upon God's will regarding war, it may lead to an awakening in the church to the direction we ought to be facing as disciples of Christ. I think we could do with a bit of repenting. "If my people, who are called by my name, shall humble themselves, and pray, and seek my face, and turn from their wicked ways; then will I hear from heaven, and will forgive their sin, and will heal their land." Why are we, of all people, so easily manipulated by that tool of the devil, fear? How is it possible for so many who declare themselves followers of Christ to put the teachings of Christ on hold the moment the devil leaps up and shakes a Boogah-Boogah stick stick in our face? And why do we hold the military establishment in such high regard when our doctrine teaches that armies and navies are tools Satan has captured for his purpose of ruling the earth with blood and horror? The answer is that he was sending us a warning. Both Mormon and his son Moroni were given a peek into our future, and what they saw filled them with alarm. Mormon saw us headed on the very path to destruction that had wiped out his entire civilization, and he hoped his warning would reach us and get us to change direction. The fact that so many of us happily testify of the truth of Mormon's book while managing to miss the lesson he hoped to impart is a sad testimony to our pride. We love to tell the world how much we love the Book of Mormon, but we pay little attention to what that book is trying to tell us. If the last time you read the Book of Mormon with any diligence was when you were in Seminary and raced through it only with the goal of finishing the dang thing in time to get that nice Certificate of Completion, this might be a good time to sit down and give it a second look. If there was ever a time we Americans deserved to take a good hard look at ourselves and reflect upon what it is we might be doing wrong, this is that time. You may have noticed God is not exactly pouring out his blessings on America in these latter days. I would suggest that a primary reason for the absence of the hand of providence is that God's people are blatantly ignoring His law concerning war. It seems to me that Memorial Day would be a good time to engage in quiet and thoughtful reflection about that. 2. God will turn his back on us the moment our armies cross into the borders of another country. We may delude ourselves into believing we are fighting for His cause; we may pray for His blessings and invoke His protection. But God won't hear us. The moment we take the war into the lands of another people, God walks off the field and leaves us on our own. Now, you might not like hearing that second point. 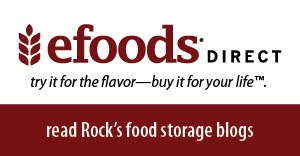 You might even refuse to believe it. Nevertheless, that is Christ's actual Doctrine. Those are God's Rules of Engagement concerning war. And as he told Joseph Smith in what became section 98 of our Doctrine and Covenants, this has always been the law, from the time of the ancient prophets and apostles, through Nephi, and down to our own day. His people were not to go out into battle "against any nation, kindred, tongue, or people unless I the Lord commanded them." This scripture is unacceptable to some latter-day Saints. Many simply refuse to follow it, and will attempt all manner of ways to introduce exceptions to the rule, asserting it doesn't apply in certain cases and under varying modern circumstances. God could not have anticipated some of the dangers that threaten us today, don't you see. These otherwise good folks engage in mental acrobatics to justify acting contrary to God's will, because their cultural and political beliefs have become entwined with their religion to the point they are unable to tell truth from error. One of my favorite books on war as it relates to our religion has been Warfare In The Book of Mormon, published by Deseret Book in 1990. But that book is long out of print, so if you don't already own a copy, you could expect to pay as much as $300.00 for one. And even that book is less than comprehensive on the subject. Though it contains a sampling of theology and doctrine, the essays contained within are mostly concerned with the history, strategies, archaeology, and weapons employed in Book of Mormon wars. 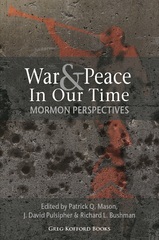 Happily, we now have a new volume published just last year by Greg Kofford Books of Salt Lake City, War & Peace In Our Time: Mormon Perspectives, a collection of essays edited by Patrick Q. Mason, J. David Pulsipher, and Richard L. Bushman. I consider this book an absolutely essential resource for any latter-day Saint seeking to understand God's will regarding war, especially as it pertains to our day. 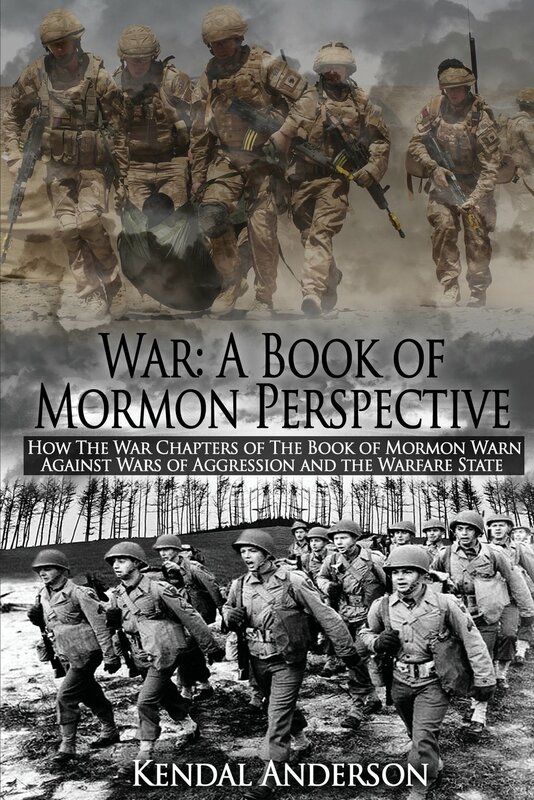 Mormon Perspectives, author Kendal Anderson has come out with an even more thorough volume on the topic, titled War: A Book of Mormon Perspective. I recommend this book as highly as I do the other. I suggest you get both and become a thoroughly informed latter-day Saint. You are playing a dangerous game. You are teaching people that obeying the prophet is a false doctrine when it is the most important doctrine in the church. You are driving people out of the church with the things you write on your blog. Even if that is true about Wilford Woodruff not having that vision of the founding fathers, what right do you have to damage other people's testimonies? You are not only a danger to yourself, you are a danger to other people and you are a danger to the church." "I just wanted to tell you how much your blog has helped me and my husband return to church even though we were getting ready to request our names be removed because we had become fed up with how much the church seems to have changed. It did not take long for us to convince ourselves that the entire history of the church was a history of deception. After several months of study, I had completely rejected everything about it. I was done with Joseph Smith. I was done with the Book of Mormon. I was done with the whole church. I wanted to be done with it and start my life free from the chains of false authority that the Mormon church had come to represent. "The only thing was, we could not help believing there was a lot of good in the Mormon religion. We could not completely separate ourselves from those beliefs that we identify with. Then my husband and I started reading your blog and that's when we realized it was not anything about the religion that had been suffocating us. In fact, as you have shown time and again, the doctrines we got through Joseph Smith are liberating. You helped us to realize there is nothing offensive about the basic beliefs of Mormonism when you take it in its pure form. What was keeping us, as you put it "stuck in our Mormonism" was the constant hammering we are always getting that we are supposed to be obedient to the church leaders. This teaching has permeated the church so that even our children are indoctrinated with it. And as you taught us, it is something that would have been rejected by Joseph Smith. We realized we could still be Mormons. We just did not have to accept the parts of it that do not come from God. So much of what we thought was doctrinal was just cultural baggage. We just had to learn to ignore those cultural things and only examine those that are true doctrines. "What you did for us is help us realize we are not the only ones who have questions, and that it is okay to question and that doesn't make us less faithful than anyone else. We still have some things to sort out, such as how do we raise our children in the church when they teach the children that awful primary song to follow the prophet. We have decided we just have to offset that by teaching them at home to only follow Christ. We have decided we believe in the basic teachings and so this church is where we belong. And what we mean by that is that we belong to the church the way the Lord defined it in D&C 10: 67. Anything else is a counterfeit church and we just ignore those who demand we meet their expectations that differ from what the Lord himself has spoken. We are ashamed to admit the only scripture study we ever did was in Sunday School, and we noticed the lesson skips around and leaves out entire sections. We wonder if there is anything important in those left out parts so we have decided to spend more time reading the Book of Mormon at home and learning more about the things Joseph Smith felt were important like the Lectures on Faith which they don't even talk about anymore in church. We want to stay in the church but we just don't care to give our loyalty to men who have not earned it by demonstrating gifts but only because they have titles in front of their names. And that is okay, because we don't feel God expects us to put any man above us. We don't need leaders. We follow only Christ. And I think we can still be good Mormons by doing that. "We believe like Ezra Taft Benson said that the whole church is under condemnation, but we will stay in it because we believe one day that condemnation will be lifted and God will again speak his will and we don't want to be on the outside and miss out when that happens. "We pray for you and for your wife, because we think there are those in the church who would want to silence your voice if they could. Your blog has changed the way we think about being Mormons and how lots of others think it means to be Mormons and that makes you a danger to the status quo in the church because so many LDS are convinced if you do not absolutely obey the leaders you cannot be a real Mormon, so I hope you are being careful. I think if you lived in Utah someone would be throwing rocks through your window and hoping you will go away. Anyway, we pray for you and thank you for your part in keeping us in the church because now we know this is where we belong." Now you will notice that the only real assistance I gave to Brynn and her husband was that I helped them to realize they were not alone. I did not convert them to Christ; they were already there. But receiving these two emails on the same day got me to thinking. What in heaven's name would make anyone think I had the power to influence anyone to either quit the church or convert back to Christ? If you'll look to the right of this page near the bottom, you will see on my blogroll the names of several blogs that often take positions similar to mine,which is to say their authors believe in the the gospel of the Restoration, but recognize there is something off-kilter about the modern LDS Church. That recognition does not affect nor diminish their testimonies of what is true and valuable about our religion. Most of these bloggers have arrived at their conclusions entirely independent of me -in fact many of them existed before I ever realized myself that something was askew, so I'm the one who's late to the party. I am not, as Carol suggested, the founder of any movement. And as much as I would like to take credit for the turnaround in the lives of Brynn and her husband, you will note that they came to the realization on their own that the core teachings of the religion they grew up in were true and valid. That was not their issue. Their issue was how to resolve the dichotomy between the organic teachings of the religion versus the current mantra of obedience to leaders that seemed to them so antithetical to scripture. Their letter is similar to the many others I receive, in that most of them tell me they are grateful to learn they are not alone. My only contribution to their awakenings is to assure them there are many others asking questions, and that God approves. There is a spiritual awakening occurring on an individual level within the church today, and I think it is a healthy one. Although many are unable to resolve the problems they perceive and wind up leaving, many more are able to accept what is right and true and pure about Mormonism, and ignore what is not. The Lord promises that one day he will "set his house in order." Like Brynn, I want to be in the house when he does that. This is not to say that I've never fallen into anything dangerous. I have. I'll give you an illustration of how that happened recently. Is Following The Prophet A Commandment? That was the questioning title of a thread on the LDS Freedom Forum. It stirred a vigorous discussion that has so far extended to 20 pages. Now, those who have followed my opinions expressed on this blog already know what I consider to be the obvious answer to that question: only when he is speaking the words God has put into his mouth. Many others who responded on that thread expressed sentiments similar to mine, but there was a vocal -and, dare I say, adamant- contingent that held the president of the Church is a prophet purely by dint of his calling and ordination, and therefore we should follow him at all times. He does not have to issue prophecies, he does not have to provide revelations. His word alone, goes the implication, should be considered equal to the word of God, and just as valid. I will raise them up a Prophet from among their brethren, like unto thee [Moses], and will put my words in his mouth; and he shall speak unto them all that I shall command him. Our Doctrine and Covenants contain several chapters where it is clear Joseph Smith is speaking his own words. But many other chapters are clearly instances where Joseph Smith is speaking the words God has put in his mouth. Those are the times when Joseph Smith was acting as a prophet. Do I discount everything else Joseph Smith taught? Of course not. He is, of course, the founder of our faith, so the policies he put in place should carry ample weight. But I am careful not to give his words vatical authority. Only when he is speaking the words God has put in his mouth is he speaking as a prophet. So here is where I began to run off the rails. After I expressed myself on that thread in so many words, someone took issue with my position and began to pick it apart, citing mostly past presidents of the Church, along with scriptures that I felt were off point. So I replied back. My opponent rose to the challenge and picked me apart again. I responded a third time, providing arguments that I felt sure would be the final word on the subject. No such luck. This guy was persistent. Boy, did he like to nitpick! He went after me again and again with arguments I felt were not only weak, but irrelevant. In addition to attacking me, he seemed to feel some moral obligation to hammer to death every other person who expressed a view contrary to what he believed to be the orthodox one. And so we went, this guy and me; back and forth, swinging our verbal swords like a couple of gladiators in a fight to the death. Before long I was no longer attempting to lovingly share the discoveries I had made on my personal quest for truth. No, I wanted to stop this guy, to clean his clock, to put him in his place once and for all. I wanted him to shut the hell up. I was no longer involved in a discussion with a fellow disciple of Christ. I had myself an honest-to-goodness nemesis, by golly. And I didn't like him. That's when I knew I lost the argument. Oh, I'm pretty sure I didn't lose the intellectual argument; I still believe a prophet is only a prophet when he speaks as a prophet. But winning the intellectual argument doesn't really matter. By allowing myself to grow contentious, I lost the light of Christ, and that made me ineffective. Somewhere along the way I found myself motivated not by an interest in teaching or sharing, or of even learning something the other guy had to offer. I just wanted to win. And that is where the danger crept in and took me over. There are few things I find more stimulating than a vigorous theological discussion; it is one of the best ways I know of to gain a depth of understanding of gospel principles. But such a discussion is only effective if the participants engage in it in a spirit of mutual respect, and with the desire to learn from one another concepts they might not have previously entertained. When we start wielding swords, we become dangerous, not so much to the other person, but to ourselves. Once I realized I was arguing without the aid of the spirit, there was nothing for me to do but walk off the field and let the other guy own it. When Mosiah taught us to yield to the enticings of the spirit and "put off the natural man," what he was telling us to do is let go of our egos. That is what is meant by the natural man: our ego self. We all need a certain amount of ego to survive, but we need a lot less of it than we think. If we aren't continually on our guard, our egos can completely take us over. My wife and I used to fight a lot, and it was almost always about some stupid thing that didn't really matter. After the dust settled, we would both realize we weren't fighting each other, we were in a clash of egos. Once we learned to put aside that "natural man" we found there wasn't really much that could divide us. Why belong to a church led by lying false prophets? Why would Jesus allow his church to be led by false prophets? How could it be the true church of Christ if it is led by lying false prophets? I think they are trying to do the best they can. They believe that Joseph was a True Prophet (which I also believe). They believe the Book of Mormon is a true second witness of Jesus Christ (which I also believe). They believe that the D&C is the word of God (and, for the most part, I also believe this). They believe that the Pearl of Great of Price is the word of God (which I also believe). They are trying to carry on God's work for the purpose He Restored the Gospel (which I believe they are doing). However, I do not believe that they have been anointed by God as His True Prophets. I think at best that they are minor prophets; but are still greatly inspired men who try to follow where they believe the Holy Spirit is leading them. I used to believe that they were True Prophets. As my journey progresses and the Holy Spirit reveals more and more Truth to me, I cannot ignore that what is being revealed to me is not always in accordance with what our leaders are teaching. Even their own teachings contradict each other; they can't have things both ways. Now, even though I do not believe they are True Prophets, that does not mean that they are false teachers....though I believe that from time to time they do teach falsely. Yet, I believe Father is still guiding and directing the Church; just not in the way it could have been. The Holy Spirit is increasing an out-pouring of Truth all over the earth...not just to members of the Church; but everywhere. As more and more members begin walking in the Spirit, they all face the same dilemma of what to do. As their eyes and ears open to the meat of the teachings in scripture, as their spirits awaken from sleep, they cannot help but desire to feast on more and more Truth. However, the Church is not providing the higher teachings. So what are we to do? I study from the Standard Works on a daily basis. Things which used to be hidden from my understanding are opening up to me. While I rejoice in having more Truth revealed, I also mourn for the Church. I converted to the Church at the age of 22 and have been a member for 38 years. 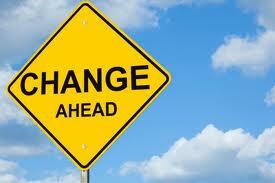 It is only in the past two years that I really started to experience a great awakening of my spirit. Now, I cannot un-know what has been revealed to me. It wasn't until this past year when things really started to speed up. Very specific revelations I have personally received are in conflict with what the Church teaches. It has become a dilemma; but I must follow where the Holy Spirit is leading me. Now, in accordance with the 14 Fundamental steps given by Ezra Taft Benson, a True Prophet cannot teach falsely. Yet, the Church has renounced a great deal of what Brigham taught. Isn't the Church in conflict here? Either a True Prophet cannot teach falsely; or a True Prophet can teach falsely. The Church can't have it both ways. Inasmuch as the Church has renounced several teachings of Brigham, then by Church standards, Brigham was not a True Prophet (even one false teaching would have disqualified him). Now, if they insist that he was a True Prophet, then the Church should never have renounced any of Brigham's teachings. The Church has some explaining to do; and these conflicts were not of my making or figments of my imagination. I do believe that Brigham was a great leader; and his leadership skills were absolutely necessary in order to save the already splintered Church from complete destruction. He was definitely inspired; but he was never annointed by God. Joseph could not have appointed him due to the fact that he was no longer the Prophet when he was martyred as he had already appointed Hyrum as Prophet. The Church doesn't even recognize Hyrum as ever being a Prophet of the Church; which is another issue. Even with all of this information, I still desire to support the Church. The Holy Spirit is directing me to stay with the Church; and I am not the only one caught in this dilemma. As the D&C teaches, anyone who believes in Jesus Christ as our Savior IS a member of His Church. As such, if the Church decides to excommunicate members like me who are exposing her problems, she really doesn't have the authority to excommunicate us from Christ's Church; and Christ will still recognize us as being a part of the body of Christ. Now that's what I should have written. And maybe I might have had I put off the natural man and yielded to the enticings of the Holy Spirit. When we quarrel in anger, and endeavor to gratify our pride by trying to make others see things our way, the spirit is grieved, and ceases to take our side, even when we are in the right. This is why we are warned so much to avoid pride. Pride is dangerous. It's dangerous because it is often the one sin we never recognize in ourselves. I got in touch with Jo privately, and it turns out she had never heard of me or my blog, so I can't take even a little credit for her personal awakening or any part of her astute observations. My ego is really bent about this. But I don't care. I think I'll just let my ego sit in the corner awhile and sulk.